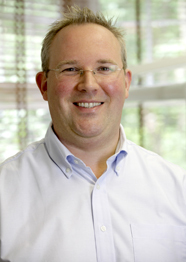 Tom is a skilled and experienced dentist who has worked within the NHS and Private Practice. After graduating in the year 2000 from the University of Liverpool, he spent time working in a large NHS practice in Kings Heath before joining his father in the family practice. Tom also spent 6 years working at Evesham Dental Health before dedicating all of his time to the practice in Edgbaston on the retirement of his father. Tom is a caring practitioner who enthusiastically participates in postgraduate professional development to further his knowledge for the benefit of his patients. Since taking over Fraser Dental, Tom has followed in the footsteps of his father to continue to provide high quality, gentle, relaxed and professional dental care. Tom is always happy to help patients overcome dental fears and enjoy pain free dentistry. As well as day to day dentistry Tom specialises in cosmetic smile makeovers, root canal procedures, Invisalign clear braces and Dental Implants. Tom is an Invisalign certified Dentist and has completed the renowned implant training pathway in Sheffield at Charles Clifford Dental Hospital. This implant training enables him to provide dental implant treatments knowing he has received the best possible training which is recognised by the General Dental Council. Antonio is originally from Portugal where he qualified in 2012. He moved to the U.K in 2013 to work as a general dental practitioner. Although he enjoys all aspects of dentistry Antonio’s special areas of interest are restorative dentistry, endodontics and orthodontics. Antonio is committed to providing the best care possible for his patients and has a caring and gentle approach to dental treatment. Antonio has completed a post-graduation course in restorative and aesthetic dentistry and he is being trained at masters degree level, currently in his second year of the MClinDent in Orthodontics and Dentofacial Orthopaedics at BPP university in London. Outside dentistry Antonio enjoys spending time with his family and friends, outdoors running, playing football and travelling. Anwar qualified in 2015 as a dental hygienist and therapist from the University of Birmingham. Following graduation Anwar completed a foundation dental therapy training programme in accordance with the West Midlands deanery. He went on to provide his services in a range of practices within the county providing a high standard of oral hygiene care, tooth whitening and restorative treatments. Anwar uses a combination of skills as a qualified inhalation seditionist and his experience gained in his short career thus far to manage and treat anxious patients in an epithetic manner. Anwar is an active member of the Faculty of General Dental Practitioners for the West Midlands Division (FGDPwm). Sufyaan is a qualified dental hygienist and therapist. He studied at the University of Birmingham graduating with numerous prizes and awards. He has undertaken many postgraduate courses and recently completed a PGDip in Dental law and ethics. 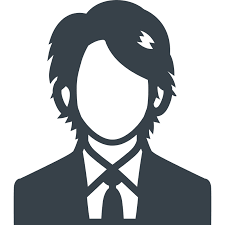 Continued professional development is the cornerstone of his clinical practice, and thus; he is well versed and up to date with the many innovations of the growing profession. Sufyaan has the belief “prevention is better than cure” and brings with him a patient-centred attitude being thorough, gentle and compassionate. He takes pride in providing the utmost quality of care to each and every patient ensuring their visit is a positive and pleasant experience. 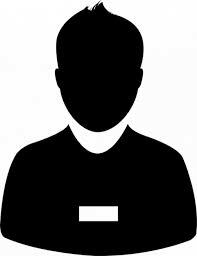 He has various positions in Private practice as well working for the NHS. Sufyaan enjoys the challenge of complex periodontal cases and working with patients to improve habits and behaviours taking great satisfaction being involved in the patient’s journey to achieve great oral health status. In his spare time, Sufyaan enjoys running to keep fit in addition he also volunteers his time with a range of organizations and projects for which he have received many accolades including being made a Medallist of the Order of the British Empire in the Queen’s Birthday Honours List, named Young Person of the Year and The High Sheriff of Lancashire’s Young Citizen of the Year. Kelly qualified as a Dental Hygienist from Birmingham Dental School in 1998 where she gained a number of awards including the Oral B prize for the highest marks achieved in the final exams. Some years later she studied Dental Therapy, qualifying from Liverpool with distinction in 2006. During the course of Kelly’s career she has gained valuable experience working in general practice, specialist periodontal and implant clinics and at the periodontal department of the Birmingham Dental Hospital. Kelly enjoys the teamwork with patients whereby she’s strives for mutual aims – to improve and maintain oral health. As an active member of the dental team she aims to educate, motivate and support her patients on their journey towards a healthier, happier smile. On a personal level Kelly is a busy mum to her son and enjoys training for and participating in half marathons which she run’s for charity. After working for over 10 years as a manger within the recruitment industry, Rhoda joined Fraser Dental to support the whole team as the Business Manager. Rhoda has a degree in Business Studies and so uses her knowledge from that to ensure the Practice runs as efficiently and smoothly as possible. Rhoda and Tom have been married since 2007 and have 2 children; Elsie and Harry and a dog called Margo. 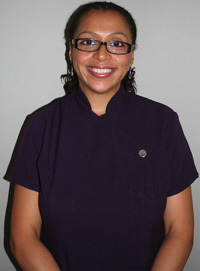 Michele is Fraser Dental’s Practice Manager. 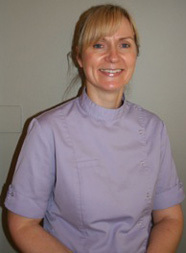 Based mainly on reception she is the first point of contact for all appointments, treatment plans and general queries. 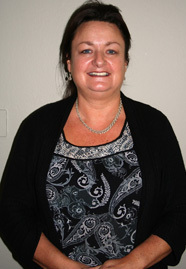 Michele has been valued a member of the Fraser Dental team since 2006. She qualified as a Dental Nurse in 2000 and is registered with the GDC. Michele has over 19 years experience in all fields of dentistry, her favourite areas being cosmetic dentistry including Invisalign and Implantology. 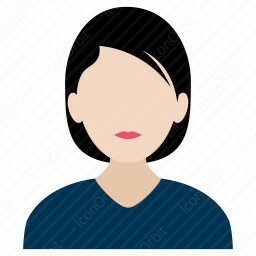 Michele is married with a daughter and enjoys experimental cooking to create healthy recipes, reading apocalyptic and fantasy novels, music and is a keen walker. 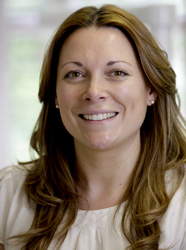 Amy has over 15 years experience in Dentistry as a Fully Qualified Dental Nurse. She also has successfully completed her qualifications in Radiography and Orthodontic Nursing. Amy enjoys country walks near to where she lives with her dog Bonnie. She loves the social side of Rugby and also enjoys Crafts especially Crochet. Sue has worked with Mr George Mitchell for twenty years. She also took time out for two years to take a management role at a G.P. practice, but found she was missing dentistry! Sue is married with two grown up children. She enjoys spending time with her grandchildren, socialising, shopping and walking the dog. 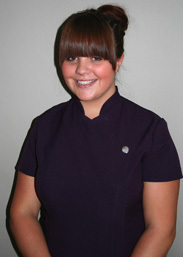 Gemma started dental nursing in August 2009, completing her two years training at Birmingham Dental Hospital. Gemma has been working in general dental practice since August 2011. She has successfully achieved Level 3 NVQ in oral health care. Level 4 professional development and an award in dental radiography. Gemma enjoys socialising with friends and family, eating out and travelling abroad. Gemma is also a keen fundraiser for Cancer Research UK and has participated in many Race for Life events. Since studying dental nursing at Birmingham Dental Hospital and gaining the National Certificate in 1985 Jenny has continued her career in both NHS and Private Dentistry. She has gained further qualifications in Dental Radiography, Oral Health Education and Business Management. 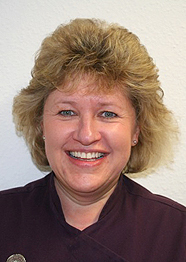 Jenny has been a valued member of the Fraser Dental Team since 1983 and supports the team in a variety of roles. Jenny is married with three grown-up children and a grandson. She enjoys animals, traveling, socialising with friends and fine dining.